Usually I have no objection with them watching children programs but recently I realised that they are watching a channel which I dislike. I dislike the language & the way the cartoon characters portray themselves as. What should I say? Simply not adding any value to my kiddo's development. It all started when they watched & got hooked to this cartoon program during our Phuket trip when we stayed in the hotel. When I found out that I could not just omit 1 kid's channel only from the cable tv package, I was so frustrated. In the end, we decided to cancel all the children channels & replaced to other channels which we felt will be more beneficial to them. MUMMY! What? 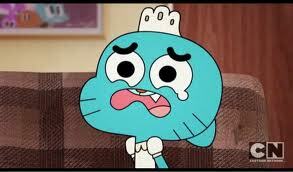 No more gumball? Oh I agree. Some of the cartoons seem to be more directed at teens and even adults!